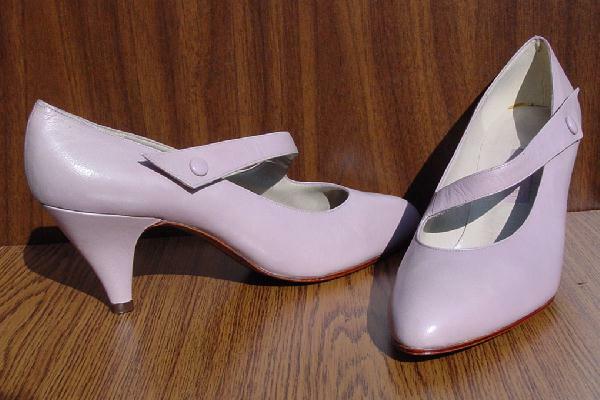 These lavender Mary Jane-style pumps were made in Spain. They have a 6 1/2" crossover strap, which has a faux button. The strap is actually attached to the shoe by a hidden elastic strap. They have a modified pointed toe. There is some darkness on the backs of the shoes by the vertical seams. They were used once, on a model in studio for a catalogue shoot.